Hello everyone. Thanks for stopping by today. I am always grateful to have you here. If you having been following me for any length of time, you will know that I like peat pot crafts. 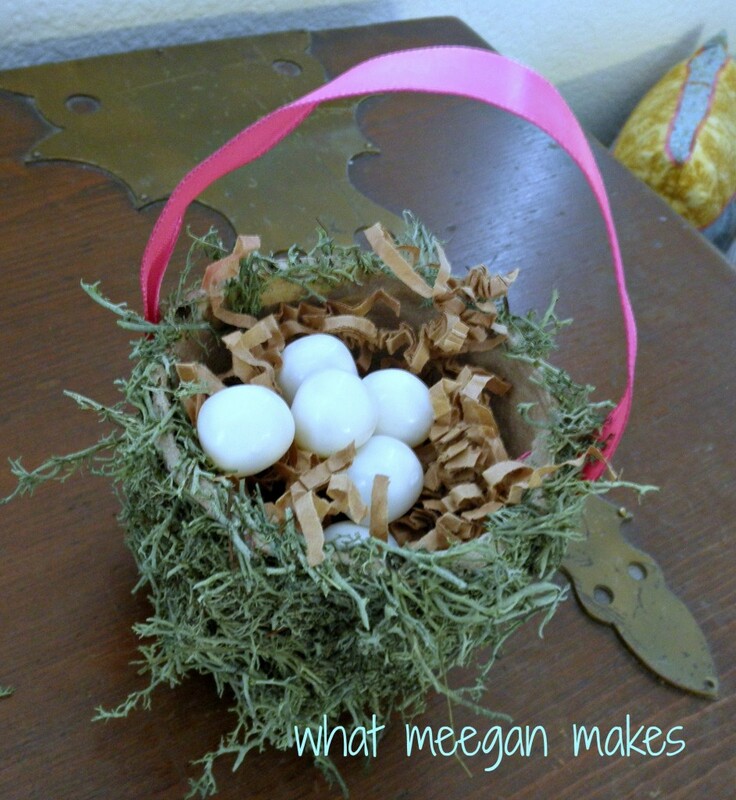 Today I want to show you something so simple even your kiddos could make it. I call it: my Peat Pot Spring Craft. 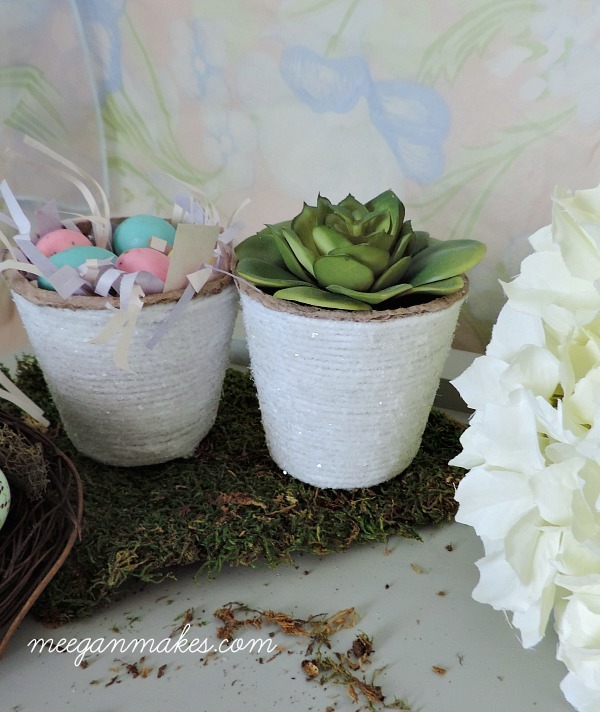 You can use as Spring decor or as an Easter basket. Your choice. 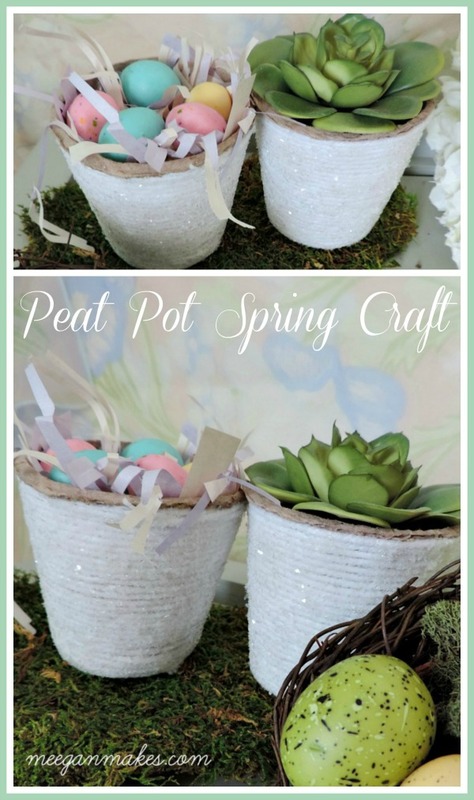 I just got to thinking, the Peat Pot Spring Craft would also be perfect for a baby, bridal shower, or hostess gift, too. 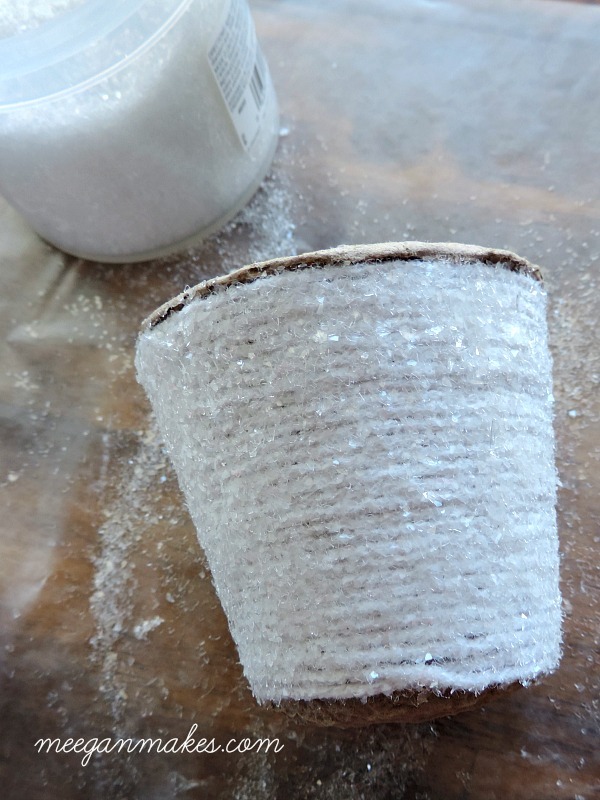 The Peat Pot Spring Craft is SUPER easy to make. Let me show you how I made these. 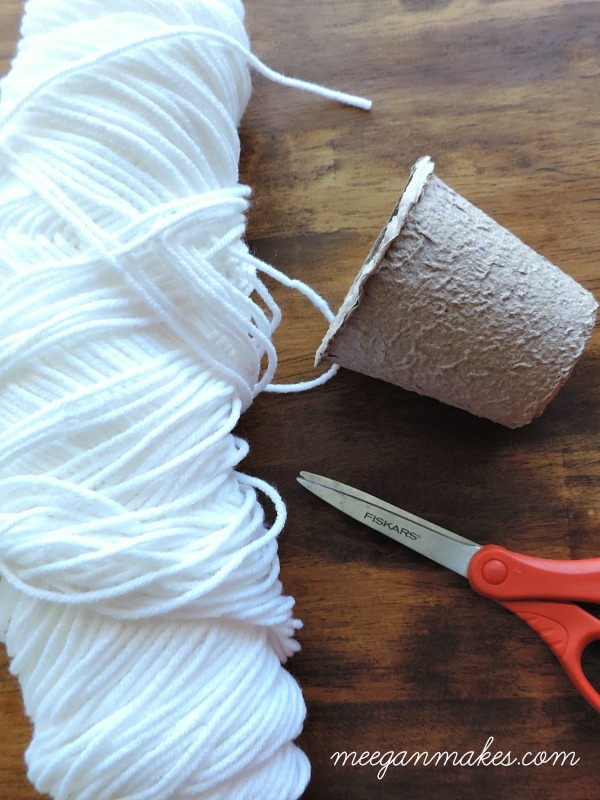 Step one: Wrap the yarn around your peat pot making sure each strand is tightly wrapped and close to each other. 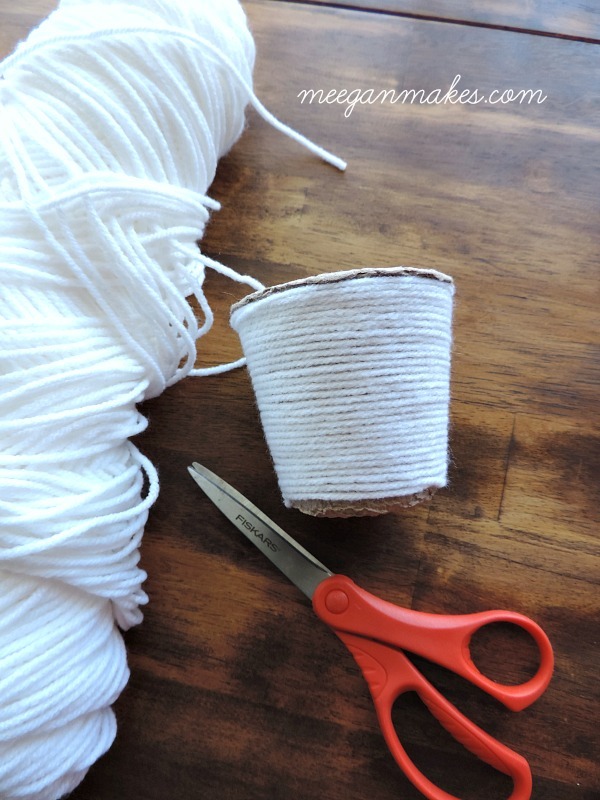 Step two: Using the sponge brush and mod podge coat the yarn with mod podge. It does not have to be dripping wet. But, wet enough for the glitter to stick. 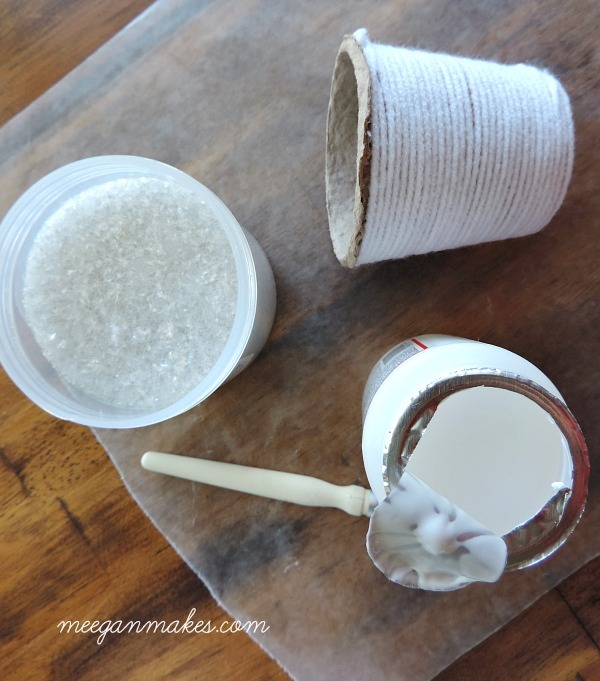 Step three: With a spoon, sprinkle the glitter on the “wet” mod podge and yarn. Let dry completely. Step four: If necessary, let the mod podge dry and add more glitter. This is your choice and preference. 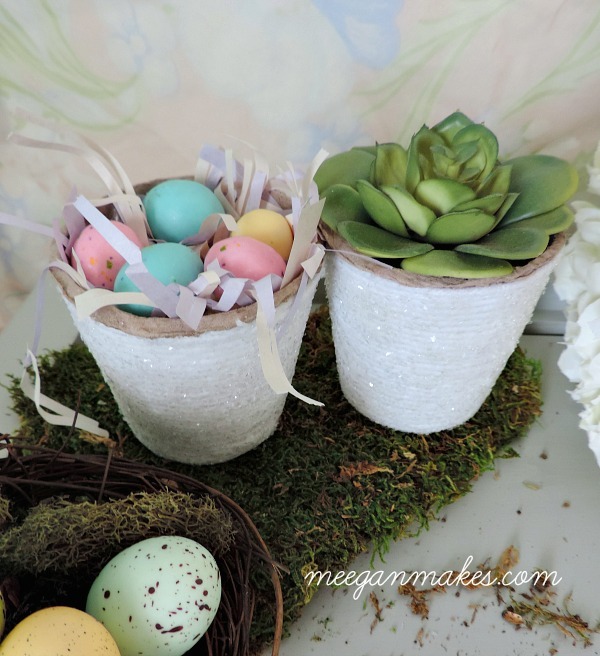 Step five: fill your Peat Pot Spring Craft with book page scraps, Easter candy, potted flowers, or even a succulent. Where ever your imagination takes you. That is the fun about making your own crafts, isn’t it? 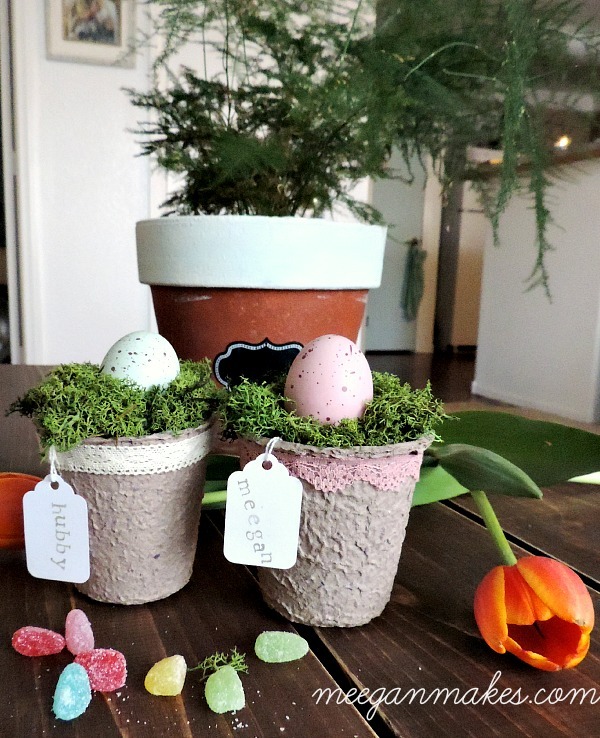 Step six: Enjoy your Peat Pot Spring Craft in your own home, give it as a gift, as an Easter basket, or even as a hostess gift. Again, thanks for joining me today. There are more links below that you might enjoy as well. These are SO cute! 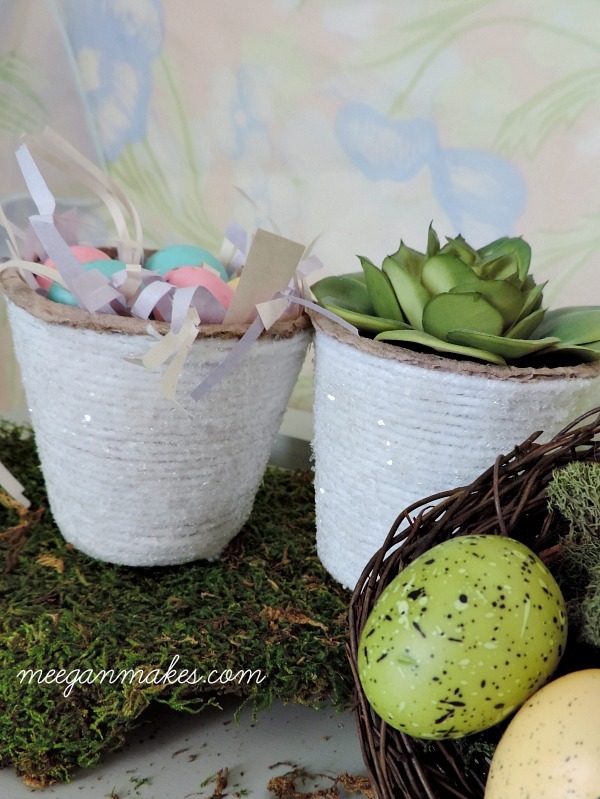 I love the idea of wrapping the pots with yarn then adding the glitter. Thanks so much for sharing your tutorial with Talk of the Town. This is a perfect craft this time of year. So many parties and occasions. 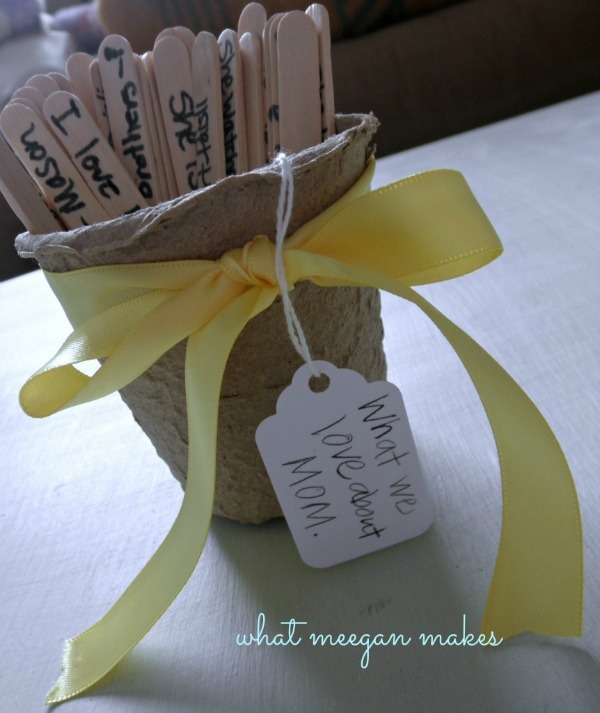 I like this for Mother’s Day! Pinned and shared. 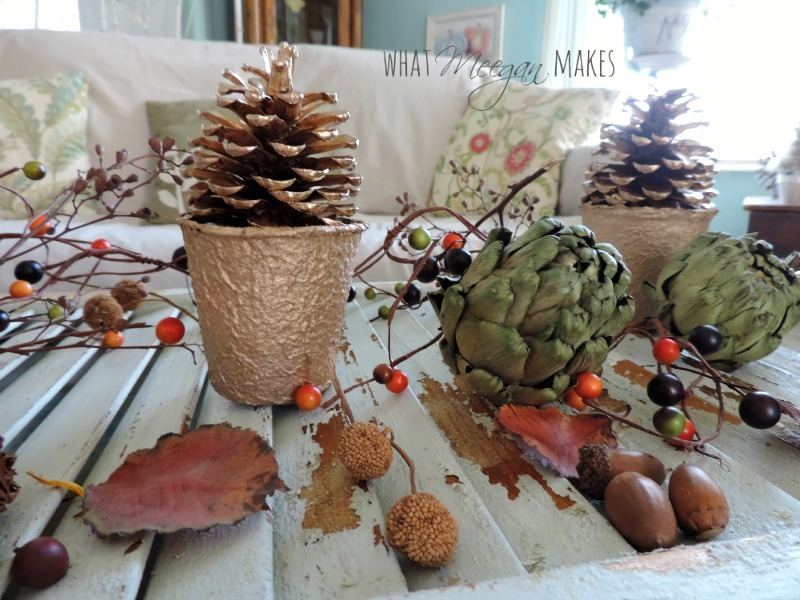 Thanks for linking up at #ThursdayFavoriteThings! I hope you will join me Monday at #OverTheMoon!